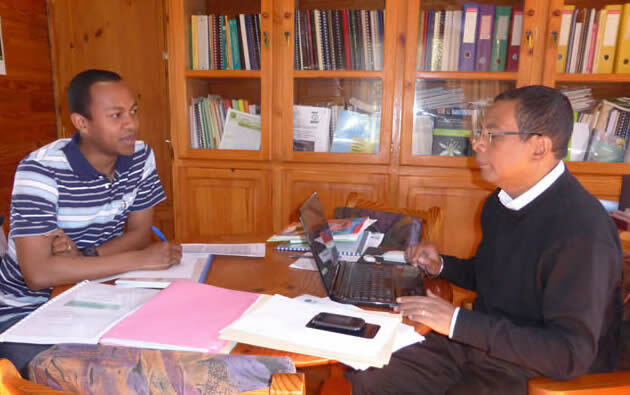 The p4ges project is delighted to welcome two fellows funded directly by the espa programme to work alongside us on research linking ecosystem services and poverty in Madagascar. Cécile Bidaud Rakotoarivony is an anthropologist who has lived and worked in Madagascar for 10 years. Her research as an espa fellow will focus on how consideration of local livelihoods and Ecosystem Services could be better incorporated into biodiversity offset programmes to improve the impact of biodiversity offsets on the welfare of communities impacted by major developments. Her field work in Madagascar will focus on the Ambatovy mine-a large nickel mine in the east of Madagascar. Cecile’s mentors are Julia Jones (Bangor University), Patrick Ranjatson (Ecole Supérieure des Sciences Agronomiques) and Kate Schreckenberg (Southampton University). Cécile had a busy first week in the job. 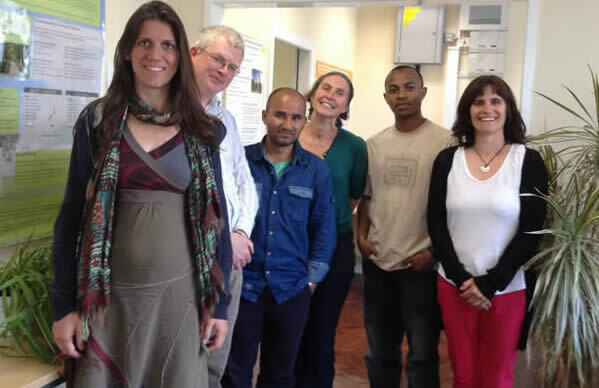 She attended the Business and Biodiversity Offsets programme (BBOP) conference in London to meet the wider community of people working on biodiversity offsets in Madagascar and elsewhere. She also travelled to Southampton for a meeting with her mentor Kate Schreckenberg. Patrick Rafidimanantsoa is a forester who is interested in how changes in land use influence livelihoods through impacts on water. He is particularly interested in the impacts of land use change on flood risk and the costs of increased floods to Malagasy rice farmers. Rice is the mainstay of the rural Malagasy economy and floods can devastate production and damage the irrigation infrastructure farmers work so hard to build. Patrick’s research will involve a combination of modelling using the policy support tool Waterworld and socio-economic field work with small-scale rice farmers. Patrick’s mentors are Julia Jones (Bangor University), Mahesh Poudyal (Bangor University), Bruno Ramamonjisoa (Ecole Supérieure des Sciences Agronomiques) and Mark Mulligan (Kings College London). In Patrick’s first week in the job he had a meeting in Madagascar with his mentor Prof Bruno Ramamonjisoa before arriving in Bangor and starting to plan his research.